Целью обзора, основанного на анализе и систематизации результатов многочисленных исследований, явилось представление современного взгляда на методику преоксигенации с точки зрения развития ее неблагоприятных последствий и возможностей их предупреждения. Проанализированы побочные эффекты преоксигенации и существующие подходы к их профилактике. Подчеркнута роль высокой вдыхаемой концентрации кислорода как фактора, потенциально опасного из-за формирования послеоперационных респираторных осложнений в результате формирования резорбционных ателектазов. Показано, что совершенствование преоксигенации остается для анестезиологии актуальной проблемой, а также обсуждается поиск путей дальнейшего повышения безопасности методики. 1. Балаховский И. С., Мансуров А. Р., Яздовский В. И. Влияние дыхания чистым кислородом на легкие и сердце белых крыс // Бюлл. экспер. биол. и мед. – 1962. – Т. 53, № 2. – С. 43–48. 2. Гриппи М. Патофизиология легких / пер. с англ. под ред. Ю. В. Наточина. Изд. 2-е, испр. – М.: Бином, 2015. – 304 c.
3. Лебединский К. М. Кровообращение и обмен энергии. В кн: Кровообращение и анестезия. Изд. 2-е. СПб: Человек, 2015. – С. 71–103. 4. Морган Дж. Э., Михаил М. Клиническая анестезиология / пер. с англ. Кн. 2, изд. 3-е. – М.: Бином, 2014. – 408 c.
5. Соколова М. М., Кузьков В. В., Родионова Л. Н., Киров М. Ю. Кислород в интенсивной терапии и анестезиологии – друг или враг? // Вестн. ане-стезиол. и реаниматол. – 2015. – № 3. – С. 56–64. 6. Шмидт Р., Тевс Г. Физиология человека / пер. с англ. под ред. П. Г. Костюка. Том 2, изд. 3-е. – М.: Мир, 2005. – 314 c.
7. Agarwal A., Dhiraj S., Pandey C. M. Oxygen in air (FIO2 0.4) improves gas exchange in young healthy patients during general anesthesia // Can. J. Anesth. – 2002. – Vol. 49, № 10. – P. 1040–1043. 8. Baillard C. Noninvasive Ventilation as a Preoxygenation Method. In: Esquinas A.M. (ed.) Noninvasive Mechanical Ventilation. Theory, Equipment, and Clinical Applications. Berlin: Springer; 2010. – P. 257–262. 9. Baraka A. S., Taha S. K., Aouad M. T. et al. Preoxygenation. Comparison of maximal breathing and tidal volume breathing techniques // Anesthesiology. – 1999. – Vol. 91. – P. 612–616. 10. Biffen A., Hughes R. Apnoea and pre-oxygenation // Аnaesthesia tutorial of the week. – 2013. – Vol. 4. – P. 1–7. 11. Bromiley M. Have you ever made a mistake? // Bulletin of the Royal College of Anaesthetists. – 2008. – Vol. 48 (March). – P. 2442–2445. 12. Dillon J. B., Darsie M. L. Oxygen for acute respiratory depression due to administration of thiopental sodium // JAMA. – 1955. – Vol. 159, № 11. – P. 1114–1116. 13. Duggan M., Kavanagh B. P. Pulmonary atelectasis: pathogenic perioperative entity // Anesthesiology. – 2005. – Vol. 102, № 4. – P. 838–854. 14. Edmark L., Auner U., Enlund M. et al. Oxygen concentration and characteristics of progressive atelectasis formation during anaesthesia // Acta Anaesth. Scand. – 2011. – Vol. 55. – P. 75-81. 15. Edmark L., Kostova-Aherdan K., Enlund M. et al. Optimal oxygen concentration during induction of general anesthesia // Anesthesiology. – 2003. – Vol. 98, № 1. – P. 28–33. 16. El-Khatib M. F., Kanazi G., Baraka A. S. Noninvasive bilevel positive airway pressure for preoxygenation of the critically ill morbidly obese patient // Can. J. Anaesth. – 2007. – Vol. 54, № 9. – P. 744–747. 17. Farmery A. D., Roe P. G. A model to describe the rate of oxyhaemoglobin desaturation during apnoea // Br. J. Anaesth. – 1996. – Vol. 76. – P. 284–291. 18. Gagnon C., Fortier L. P., Donati F. When a leak is unavoidable, preoxygenation is equally ineffective with vital capacity or tidal volume breathing // Can. J. Anaesth. – 2006. – Vol. 53, № 1. – P. 86–91. 19. Hans G. A., Sottiaux T., Lamy M. L. et al. Ventilatory management during routine general anaesthesia // Eur. J. Anaesth. – 2009. – Vol. 26. – P. 1–8. 20. Hedenstierna G. Airway closure, atelectasis and gas exchange during anaesthesia // Minerva Anestesiol. – 2002. – Vol. 68. – P. 332–336. 21. Hedenstierna G. Alveolar collapse and closure of airways: regular effects of anaesthesia // Clin Physiol Funct Imaging. – 2003. – Vol. 23, № 3. – P. 123–129. 22. Hedenstierna G. Effects of anaesthesia on ventilation/perfusion matching // Eur. J. Anaesth. – 2014. – Vol. 31. – P. 447–449. 23. Hedenstierna G. Oxygen and anesthesia: what lung do we deliver to the post-operative ward? // Acta Anaesth. Scand. – 2012. – Vol. 56. – P. 675–685. 24. Hedenstierna G. Physiopathology of atelectasis during anaesthesia. In: Anaesthesia, Pain, Intensive Care and Emergency (APICE). Ed. by A. Gullo. Milan: Springer; 2006. – Р. 353–359. 25. Hedenstierna G., Edmark L., Aherdan K. K. Time to reconsider the preoxygenation during induction of anaesthesia // Minerva Anestesiol. – 2000. – Vol. 66. – P. 293–296. 26. Hedenstierna G., Rothen H. U. Atelectasis formation during anesthesia: causes and measures to prevent it // J. Clin. Monit Comput. – 2000. – Vol. 16, № 5–6. – P. 329–335. 27. Karcz W. K., Thomusch O. Principles of Metabolic Surgery. Berlin: Springer; 2012. – 422 p.
28. Kehlet H., Holte K. Effect of postoperative analgesia on surgical outcome // Br. J. Anaesth. – 2001. – Vol. 87. – P. 62–72. 29. Laux G., Rex S. Allgemeinanаsthesie. In: Die Anästhesiologie. Hrsg. von R. Rossaint, G. Werner, B. Zwißler. Berlin: Springer; 2012. – S. 589–611. 30. 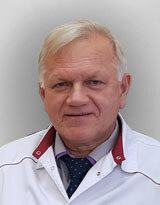 Lindahl S. G. E., Mure М. Dosing oxygen: a tricky matter or a piece of cake? // Anesth Analg. – 2002. – Vol. 95. – P. 1472–1473. 31. Magnusson L., Spahn D. R. New concepts of atelectasis during general anaesthesia // Br. J. Anaesth. – 2003. – Vol. 91, № 1. – P. 61–72. 32. Malbouisson L. M., Humberto F., Rodrigues R. R. et al. Atelectasias durante anestesia: fisiopatología y tratamiento. Rev. Bras. Anestesiol. – 2008. – Vol. 58, № 1. – P. 73–83. 33. Mankikian B., Cantineau J. P., Sartene R. et al. Ventilatory pattern and chest wall mechanics during ketamine anesthesia in humans // Anesthesiology. – 1986. – Vol. 65, № 5. – P. 492–499. 34. Matsubara O., Takemura T., Nasu M. et al. Pathological changes of the lungs after prolonged inhalation of high concentrations of oxygen // Virchows Arch. A. Pathol. Anat. Histopathol. – 1986. – Vol. 408, № 5. – P. 461–474. 35. Nimmagadda U., Salem M. R., Joseph N. J. et al. Efficacy of preoxygenation using tidal volume and deep breathing techniques with and without prior maximal exhalation // Can. J. Anaesth. – 2007. – Vol. 54, № 6. – P. 448–452. 36. O'Brien J. Absorption atelectasis: incidence and clinical implications // AANA J. – 2013. – Vol. 81, № 3. – P. 205–208. 37. Rama-Maceiras P. Peri-operative atelectasis and alveolar recruitment manoeuvres // Arch. Bronconeumol. – 2010. – Vol. 46, № 6. – P. 317–324. 38. Ramkumar V. Preparation of the patient and the airway for awake intubation // Indian J. Anaesth. – 2011. – Vol. 55, № 5. – P. 442–447. 39. Ramkumar V., Umesh G., Philip F.A. Preoxygenation with 20º head-up tilt provides longer duration of non-hypoxic apnea than conventional preoxygenation in non-obese healthy adults // J. Anesth. – 2011. – Vol. 25, № 2. – P. 189–194. 40. Renner M., Hohlrieder M., Wölk T. et al. Administration of 100% oxygen before removal of the laryngeal mask airway does not affect postanesthetic arterial partial pressure of oxygen // Anesth. Analg. – 2004. – Vol. 98, № 1. – P. 257–259. 41. Rothen H. U., Sporre B., Engberg G. et al. Atelectasis and pulmonary shunting during induction of general anaesthesia – can they be avoided? // Acta Anaesth. Scand. – 1996. – Vol. 40, № 5. – P. 524–529. 42. Rusca M., Proietti S., Schnyder P. et al. Prevention of atelectasis formation during induction of general anesthesia // Anesth. Analg. – 2003. – Vol. 97, № 6. – P.1835–1839. 43. Sirian R., Wills J. Physiology of apnoea and the benefits of preoxygenation // Contin. Educ. Anaesth. Crit. Care Pain. – 2009. – Vol. 9, № 4. – P. 105–108. 44. Staehr A. K., Meyhoff C. S., Henneberg S. W. et al. Influence of perioperative oxygen fraction on pulmonary function after abdominal surgery: a randomized controlled trial // BMC Res. Notes. – 2012. – Vol. 28, № 5. – P. 383. 45. Tachibana N., Niiyama Y., Yamakage M. Incidence of cannot intubate – cannot ventilate (CICV): results of a 3-year retrospective multicenter clinical study in a network of university hospitals // J. Anesth. – 2015. – Vol. 29, № 3. – P. 326–330. 46. Taha S. K., El-Khatib M. F., Baraka A. S. et al. Effect of suxamethonium vs rocuronium on onset of oxygen desaturation during apnoea following rapid sequence induction // Anaesthesia. – 2010. – Vol. 65. – P. 358–361. 47. Tanoubi I., Drolet P., Donati F. Optimizing preoxygenation in adults // Can. J. Anaesth. – 2009. – Vol. 56, № 6. – P. 449–466. 48. Tusman G., Bohm S. H., Vazquez de Anda G. F . et al. Alveolar recruitment strategy improves arterial oxygenation during general anaesthesia // Br. J. Anaesth. – 1999. – Vol. 82, № 1. – P. 8–13. 49. Valentine S. J., Marjot R., Monk C. R. Preoxygenation in the elderly: a comparison of the four-maximal-breath and three-minute techniques // Anesth Analg. – 1990. – Vol. 71. – P. 516–519. 50. Wahba R. W. M. Perioperative functional residual capacity // Can. J. Anaesth. – 1991. – Vol. 38, № 3. – P. 384–400.